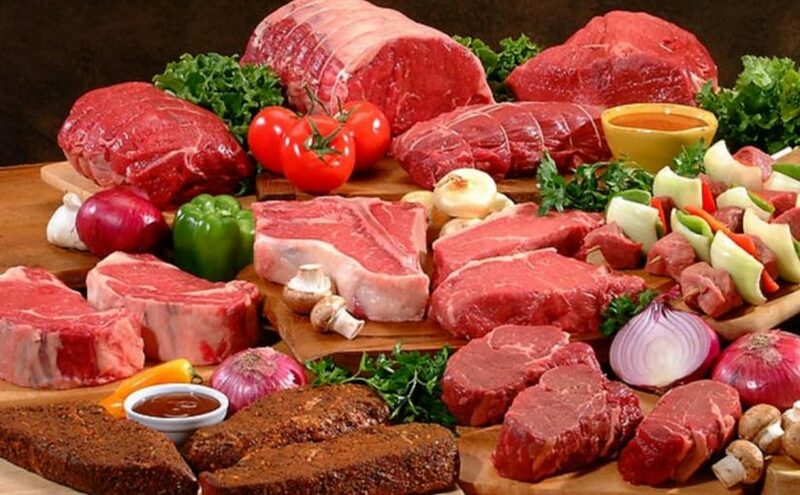 Seeing meat in a dream indicates that there will be developments about health. Eating meat in a dream symbolizes being powerful for a healty one,recovering from illness for an ill one. If the meat you are eating is cooked you will overcome someone who is unable to stand you. If the meat is raw,it indicates that you will be defeated in your struggle. Cooking meat in a dream indicates that someone in your family will sicken but he will get rid of easily. If the meat is bloody in dream ,it indicates that a bedridden one will recover,and it will be found a remedy for a desperate disease. Cutting,mincing,grinding meat, in a dream indicates that you will get information about a matter that you don’t know but you are curious. Someone who is playing with meat,touching it on his body in a dream indicates that he will have an illness related to where the meat touched, ıf someone sees that he bandaging his wound with meat ,his dream comes true or there will be an ilness in this part. Tossing the meat out symbolizes mental health and inner peace, someone who sees that he casting away meat in a drem indicates that he gets rids of his inner troubles. Some who sees that he is eating stew(rice,gram,pita etc.) in his dream indicates that you will get rid of your depression ıf the meal is hot and you will get rid of your phsical ailment ıf the meal is cold.